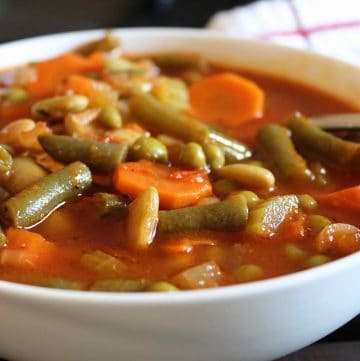 Homemade Vegetable Soup is an easy and flavorful way to get plenty of vitamins, nutrients and fiber. 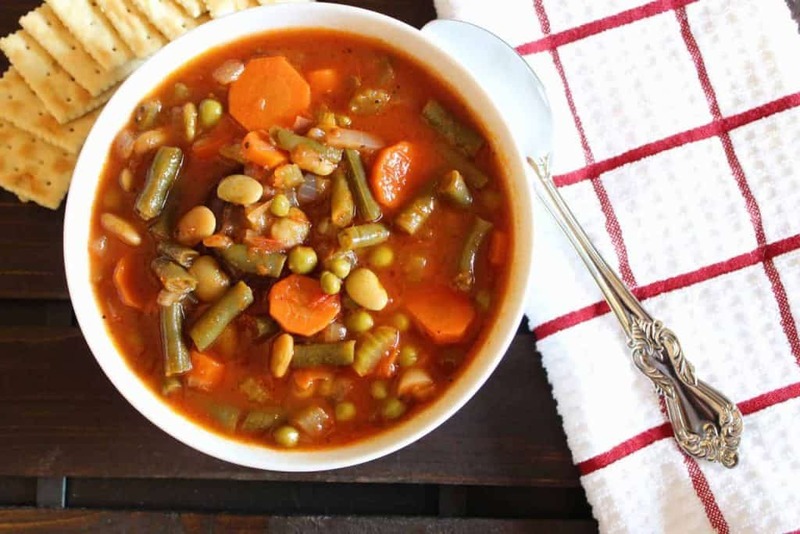 There’s nothing more comforting than a bowl of Homemade Vegetable Soup. It warms you to the core and infuses all sorts of vitamins and nutrients into your body. 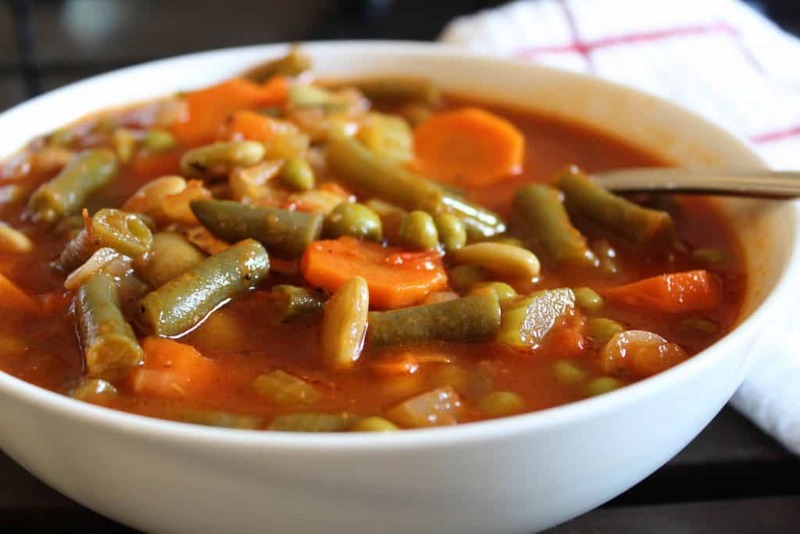 This Homemade Vegetable Soup recipe is suitable for vegans, as the base of the soup is vegetable broth and crushed tomatoes. Other than the carrots, onions and celery, the vegetables are frozen. This is simply because fresh vegetables seem to disintegrate when included. Can I Add Potatoes to the Homemade Vegetable Soup? Absolutely! If you prefer to add potatoes, use a white or Yukon gold potato. These are waxy potatoes and hold up better than the fluffy russets we like to bake! Add diced potatoes to the soup when you add the crushed tomatoes and broth. Can I Add Pasta to the Homemade Vegetable Soup? Yes, in fact, many vegetable soup recipes include elbow pasta. If you decide to add pasta, use a tubular pasta; the hollow inside of the noodle will hold a little broth, resulting in a very flavorful noodle. How Can I Add More Fiber to the Soup? If you want to add more fiber, try adding black or pinto beans (canned and rinsed) or a super grain like quinoa or amaranth. You might want to make a batch of cornbread to go with your Homemade Vegetable Soup!